The same weekend as the building news in the previous post…. 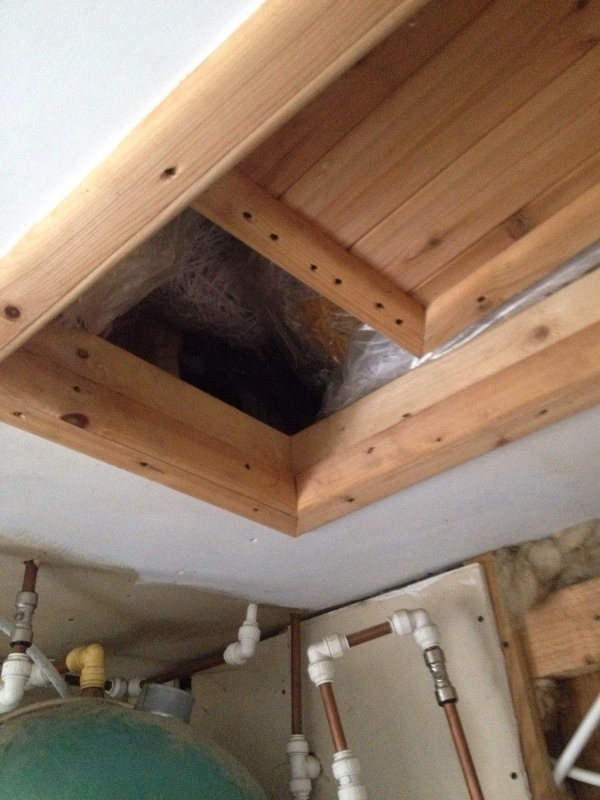 Water began to leak from the hovel ceiling….. Now the previous owner had kitted it out in a rudimentary and temporary way, but then had lived in the place for 10 years!!! 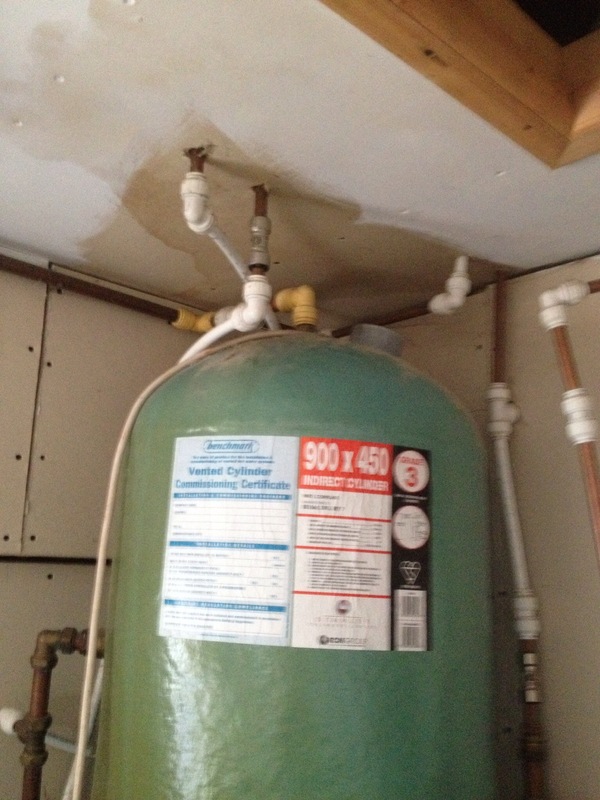 It started above the green cylinder in the corner of the room drip….drop…. Drip…. Ugh….. James opened the hatch….. Turns out the over flow ballcock wasn’t working as it should so the tank was overflowing into the ceiling space and dripping through the pipe holes…..
Thankfully last weekend James and his dad spent the morning taking it in turns to be legs poking out of the ceiling hatch and rigged up a temporary solution to the issue!!! Hurrah!!!! No more drips!! !